"Kristin and Monica made the whole process of finding and buying a home exciting and enjoyable. Having both lived and raised their families in Chatham they are very knowledgeable and went above and beyond in educating us about the different towns and helping us to ultimately decide on the right one for us. They were patient as we made our decision and made sure the closing went smoothly. We left the process not only with a new home but with new friends in Kristin and Monica and would enthusiastically recommend them!" 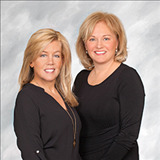 "Monica and Kristin are very knowledgeable and dedicated to their clients. Our home was listed and sold in one day and our next home was purchased through them as well. 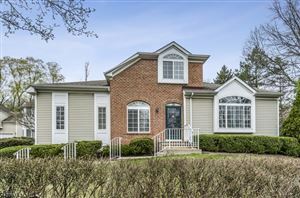 Expert advice on pricing and staging for listing and showed us only homes in our price range and style which made for a quick purchase as well." "Kristin and Monica were absolutely wonderful to deal with when we were moving from NYC to Chatham. I can't say enough about how professional and helpful they both were. Specifically, they really took the time to listen to our needs and showed great care in choosing potential homes that fit our wish list. As both of them are long term residents who have raised families here as well they also provided invaluable insight that only a "local" would know. Kristen and Monica are honest, hard working professionals who I have recommended to my friends. They made the closing process a breeze and expertly handled all the details. Two years after moving in to our new home we couldn't be happier and owe finding our dream home to this team."